Located in the San Francisco Bay Area, it is home of the NFL San Francisco 49ers. Completed in 2014 at a cost of $1.3 Billion, it has a seating capacity of 75,000. 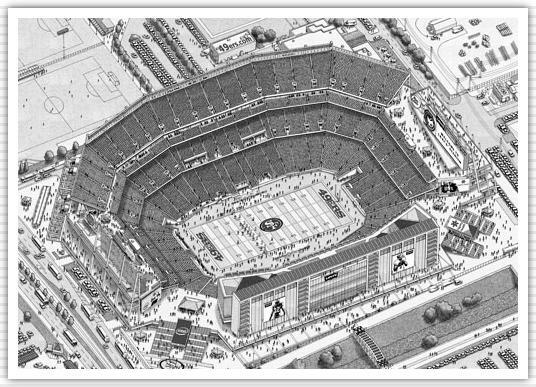 The stadium is about 40 miles outside of the city and replaced the famed Candlestick Park.